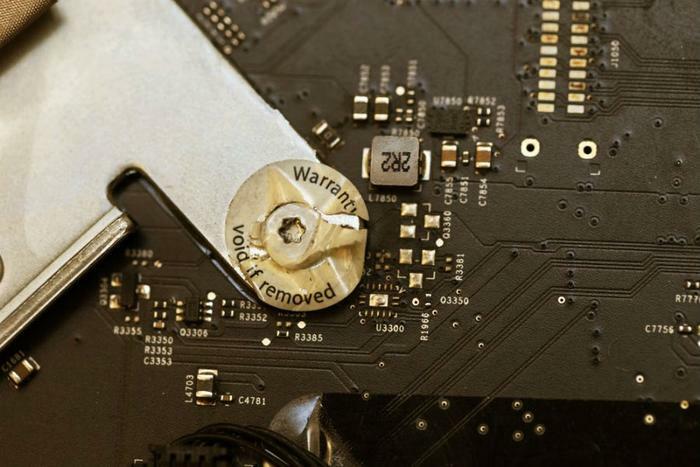 In a series of warning letters sent to six different companies, the Federal Trade Commission (FTC) noted that the practice of placing “warranty void if removed” stickers on consumer electronics is deceptive and illegal. The letters were sent to six U.S. companies that market and sell automobiles, mobile devices, and video game consoles. While the FTC didn’t say which major companies it contacted, products that come with “warning void if removed” stickers include the Sony Playstation 4 and Xbox One video game consoles. "Provisions that tie warranty coverage to the use of particular products or services harm both consumers who pay more for them as well as the small businesses who offer competing products and services,” the agency said. Such statements may also be “deceptive under the FTC Act,” the agency concluded. The use of [company name] parts is required to keep your … manufacturer’s warranties and any extended warranties intact. This warranty shall not apply if this product … is used with products not sold or licensed by [company name]. This warranty does not apply if this product … has had the warranty seal on the [product] altered, defaced, or removed. The agency has requested that all of the companies examine their promotional and warranty materials and make sure they neither state or imply that warranty coverage is only provided with the use of specific parts of services. The Commission said it will review the companies’ websites after 30 days to ensure that any potential violations of the law have been amended. Failure to make proper revisions could result in legal action, it noted.